Ooooo, I LOVE these! The colors, and that glitter are gorgeous! 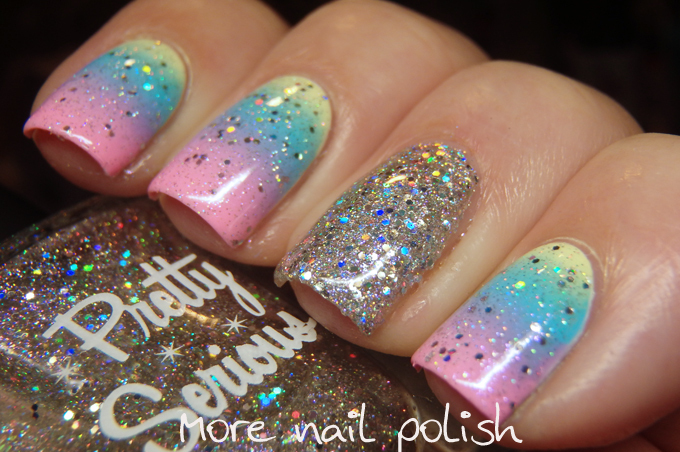 So pretty, the gradient plus glitter, and that glitter nail photographs so brilliantly!